At the Arabet Abydos area in Sohag, where the large temple of King Seti I is located, an Egyptian excavation mission from the Ministry of Antiquities and Heritage (MAH) stumbled upon a limestone ancient Egyptian chapel from the 11th Dynasty. The excavation work came within the framework of a cleaning programme carried out by the MAH in that area, after officers of the tourism and antiquities police caught red handed inhabitants trying to illegally excavate the area in front their residences in search of treasured artefacts. 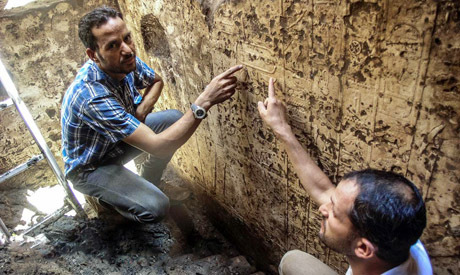 Ali El-Asfar, head of the ancient Egyptian Section at the MAH, told Ahram Online that the chapel is in a very well preserved condition and is located 150 metres north to the temple of King Seti I. 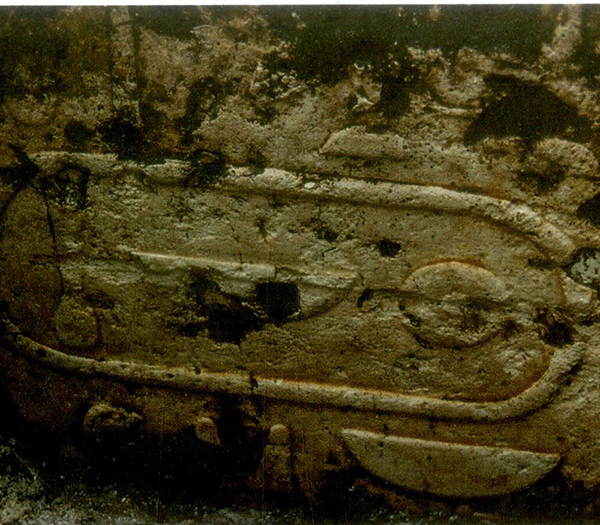 Early studies on the hieroglyphic text engraved on the chapel's walls suggest that it belongs to the 11th Dynasty king Mentuhotep II, in honour of the god Osiris after his unification with the local god of Sohag, Khenti-Amenty. The chapel is now under restoration as some of its engraving was subjected to damage from subterranean water. He explained that monuments belonging to Mentuhotep II are rare in Abydos, despite that Mentuhotep II built several religious edifices in Abydos in an attempt to bolster his power in the ancient city through drawing closer Khenti-Amenty.